Codosil™ ADHESIVE – soft, layered silicone dressing used for rehabilitation of scars and keloids. Reduces the size, redness and itching of the scar. It is intended for multiple use, can be cut and adjusted to the size and shape of the scar. 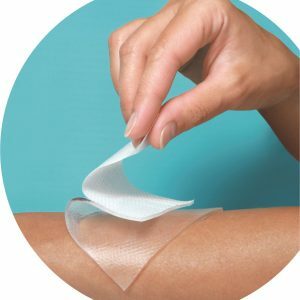 The adhesive silicone layer is in direct contact with the skin, the outer layer is secured with anti-adhesive protective layer which increases the durability of the dressing and, as such, reduces the cost of treatment. The adhesive properties of the dressing enable its multiple application to the skin surface. Before each application the dressing has to be washed. 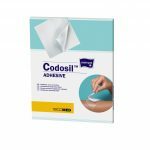 Codosil™ ADHESIVE brings excellent effects in treatment of hypertrophic scars, keloids, and new scars resulting from surgical procedures, such as a C-section. The dressing improves the visual aspect of the skin just after a few days of application - the skin becomes less coloured, flatter, more elastic, and, as a consequence, less visible. Codosil™ ADHESIVE and Codopress® compression garment creates a complete set of products used in compression therapy which has been used for many years in efficient rehabilitation of extensive burn scars - especially in children. as an element of compression therapy for burn scars - in combination with Codopress® compression garment. The dressing is intended for scar rehabilitation - it can be applied only after the wound is fully healed. It cannot be used before the removal of surgical sutures. 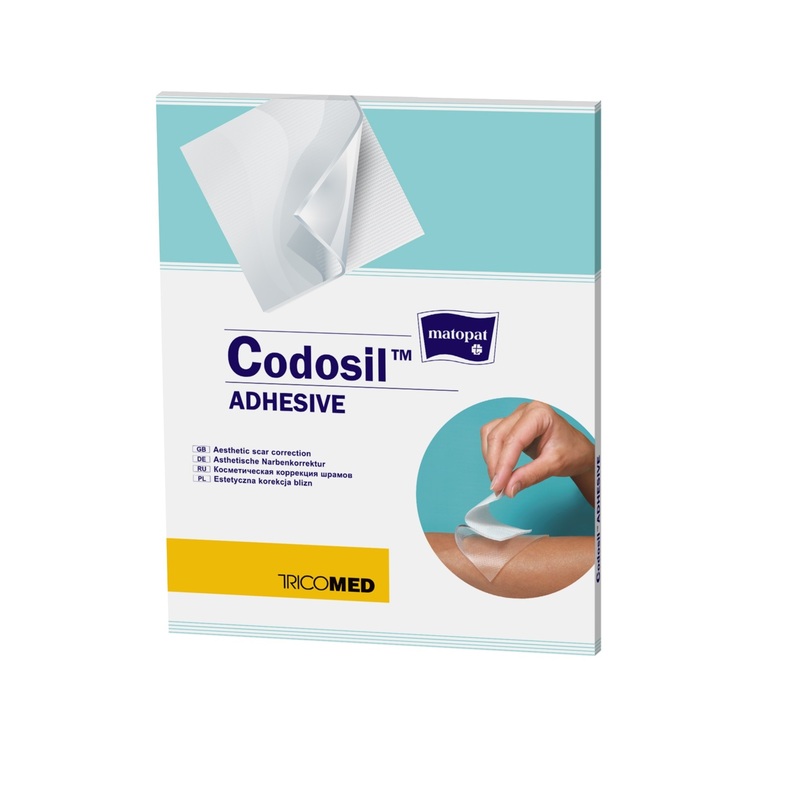 Codosil™ ADHESIVE dressing are sold non-sterile. Codosil™ ADHESIVE silicone dressing fulfils the requirements of PN-EN ISO 10993-1. The raw materials used for its production were subjected to documented biological tests. pH – 5,5 ÷ 8,0 – minimises the risk of appearance of allergenic reaction or skin irritation. Thickness – 2 ÷ 4 mm – ensures comfort of use. Adhesive properties (strength) at peeling of at 90o - min. 0,04 N/cm – ensures the dressing's adhesion to skin surface. Codosil™ ADHESIVE dressing is not self-supporting - it requires support with a dressing net (eg. Codofix®) or with a compression garment. The thickness of the dressing (between 2-4mm) does not influence its utilitarian/medical functions. Codosil™ ADHESIVE silicone dressing is packed in medical packages (fulfilling the requirements of PN-EN ISO 11607-1) – a coated sachet bag. On the outer package there is a label identifying the device. The package protects the dressing from UV rays. The product packed in packed in medical packages with the IFU included is placed in a cardboard box. Such package ensures safe storage within the guaranteed validity period.